In the western world the culture of Yoga is beginning to emerge strongly as a new alternative towards health practices. Yet, as it is an eastern cultural perception, certain factions of the western world are trying to either control Yoga or exploit yoga; Both in the name of commerce. The Canadian Yoga Alliance has been active since 2004 with a growing membership of over 2000 Canadian yoga teachers. The Vision of this alliance is to support the integrity of Yoga practices and philosophy in Canada and to commemorate our Yogic alliance with the East. Learn more about the founder & active advisors of Canadian Yoga Alliance. Canadian Yoga Alliance registers yoga training programs that provide excellence in yoga training. CYA Registered Schools have met the standard for world-class yoga training and proudly graduating first class Canadian yoga teachers year after year. 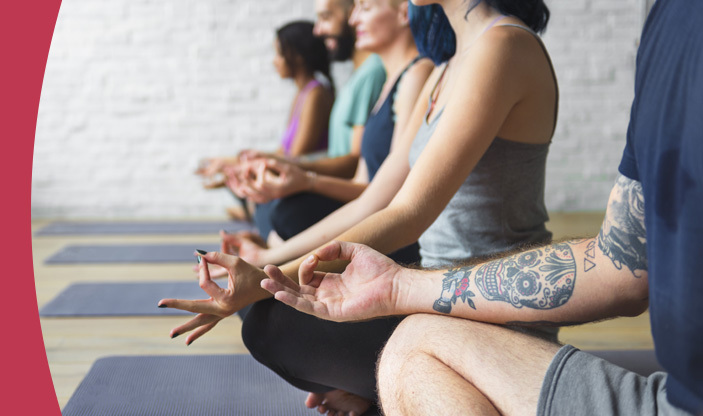 Canadian Yoga Alliance promotes Continuing Education and encourages yoga teachers to stay informed and up-to-date in the latest yoga teachings and techniques. CYA welcomes and also registers Continuing Education Schools for both public and members. Canadian Yogi offers Canadian Yoga Alliance members the opportunity to voice their opinions and stories in articles published on-line. Published twice yearly for members and public with free advertising for CYA members and paid advertising for public businesses. Sit back and browse previous Articles and Archives. Offering the lowest liability insurance rates for yoga teachers in Canada. As a member of Canadian Yoga Alliance you can purchase insurance directly from your account whenever you need it. Browse a list of our members, businesses and schools and see who else has joined the CYA community! Browse our list of membership designations to see how you qualify. Login to access members-only features, such as your practice log, upcoming events and more. Keep up-to-date on news and current events in the yoga world. Stay current on upcoming member programs. Programs offered by Canadian Yoga Alliance registered business and yoga training schools. As a proud member of the International Yoga Federation, the Canadian Yoga Alliance is committed to maintaining the integrity of Yoga practices throughout the world community. In Western society, CYA remembers the roots of yoga and honors the diversity of all cultural tradition worldwide.